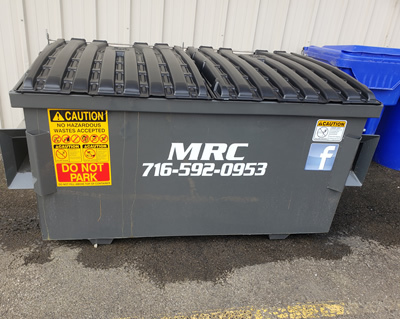 For MRC Disposal Service please call us at (716) 592-0953. 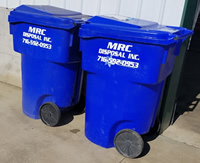 MRC Disposal is committed to enhancing the quality of the environment and communities by providing waste removal in a safe and responsible manner. We strive to have outstanding customer service, as well as fast, friendly, and dependable service at very competitive rates. 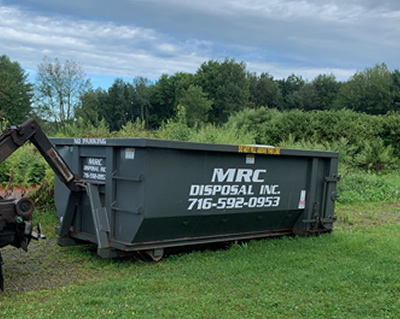 Since 2014, locally owned and operated MRC Disposal services Erie, Cattaraugus, and Wyoming counties providing curbside pickup. Also offered are a variety of dumpsters and roll off container sizes for your trash removal, one time bulk pickup, debris cleanup, construction debris removal, estate clean out, or any other type of clean out need you may have. 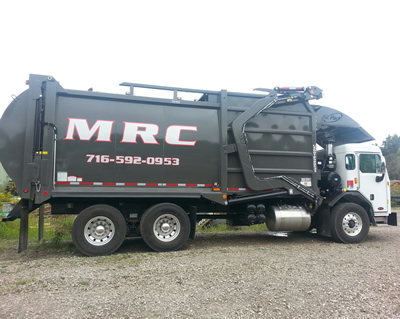 MRC Disposal currently offers 2 - 8 yard rear load container rentals for commercial and/or residential use. These offerings are efficient, saving time and money. We are one of a select few disposal companies offering small container rental for your debris disposal removal needs. 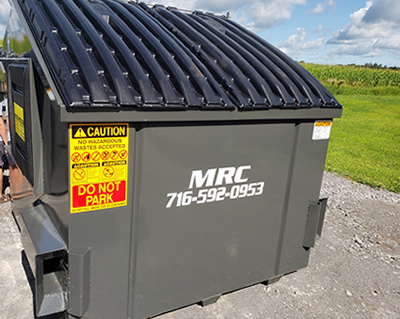 Whether you need a single time use or long term dumpster emptied multiple times, we have the flexibility to work with you to provide the service and affordability you are seeking. These containers may be rented on a temporary or permanent basis. Totes are available for purchase. Current customers may receive discounts on rentals, so call us today. Please check our Recycling page for additional services offered. Billing: Due by the first of each quarter-January 1, April 1, July 1 & October 1. Trash pick-up is between the hours of 6:30am – 6:00pm. Please Note: Our services are closed on some holidays (see list below). If your pick-up day falls on one of these holidays, pick-up comes the day AFTER. For every other holiday, garbage is picked up as planned. Contact the office directly for Tote purchases and/or Dumpster and Roll-off rental pricing. Current disposal customers may be eligible for a discount on these rentals. In addition to roll-offs and curbside service, we also offer 2 - 8 yard container rentals for commercial and residential use. Totes are available for purchase. Contact our office for details and pricing: (716) 592-0953. Container rates are based on how long they are retained. Please call for further information: (716) 592-0953.